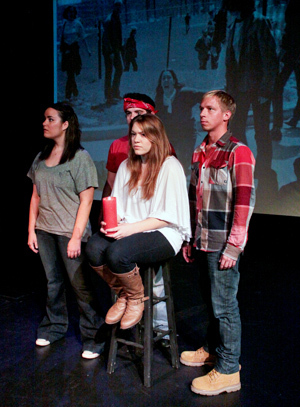 Students from Columbus State Community College present "Kent State: A Requiem"
Four decades after the event unfolded, "Kent State: A Requiem" examines one aspect of the tragedy. 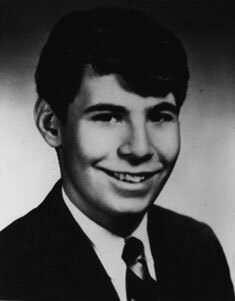 Four students were killed on May 4th, 1970 when Ohio National Guard troops opened fire on students protesting the Vietnam War on campus. Columbus State theater students are the featured actors in this 2010 version of "Kent State: A Requiem"
Written by by J. Gregory Payne, the play honors the lives of the four lost students. Columbus State Faculty member Frank Barnhart was the Director. Known as "The Day the War Came Home" -- the Kent State shootings changed the course of history. Dr. J Gregory Payne was the guest of honor as the Columbus State students showed him that through "A Requiem" Kent State is still relevant to them. Kent State Reflections documentary dvd was shot at Kent State in May, 2008. Kent State on May 4, 2009,for the first time since John shot the Pulitzer Prize winning photo. 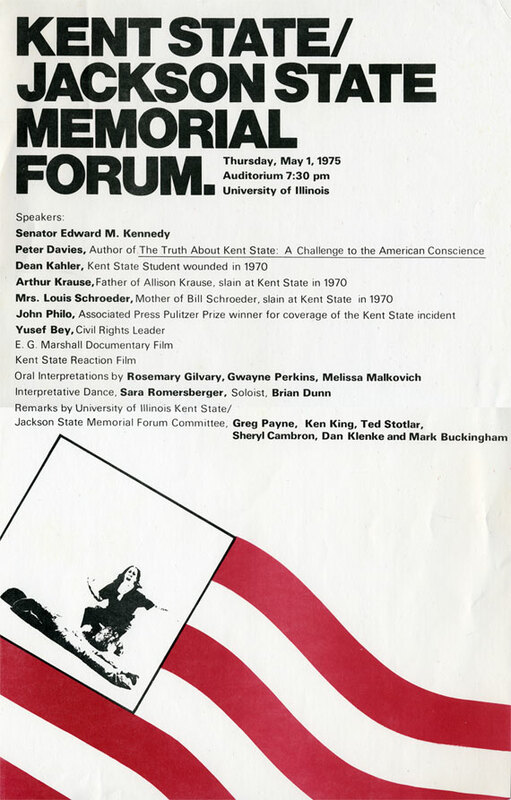 winning "Kent State," (1981) in which I was an historical (sometimes hysterical) consultant and my play, "Kent State: A Requiem,"
which presents the events of the weekend from the perspective of Mrs. Florence Schroeder, whose son Bill was killed at Kent State. 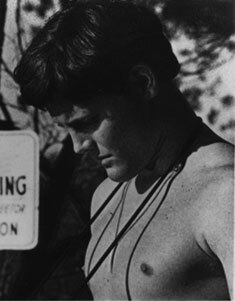 Within this site, you will find historical research related to the shootings at Kent State in May 1970, which killed 4 students and injured 9 others. The site includes the book MAYDAY: Kent State which offers the most comprehensive personal accounts of the victims at Kent State with insights from family, friends and personal writings. In addition, MAYDAY includes a historical synopsis of the events preceding and following the 13 seconds of gunfire with an annotated bibliography and important links to primary documents such as the Portage County Grand Jury report, the Justice Department's summary of the FBI report, the President's Commission on Campus Unrest, the Akron-Beacon Journal special report among others. Also, included is a panel discussion and the author's account of issues of dramatic license vs. historical accuracy in the making of NBC's Emmy award winning docudrama Kent State, with insights that apply to any historical recreation and the ethical issues facing the viewer. 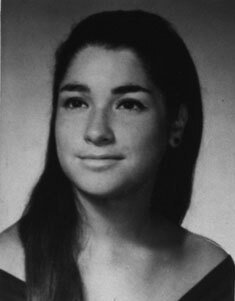 The site also includes historic first hand accounts of the meeting between John Filo, Pulitzer prize winning photographer and journalism student at Kent State, and Mary Vecchio, the young woman pictured over the body of Jeff Miller after the shootings. This meeting occurred at the Kent State - Jackson State 30 year Retrospective held in Boston in 1995, the proceedings of which include personal accounts from those shot, students present, law enforcement officials, historians, artists and others. The site also includes important primary research on other commemorations and memorials related to the event and its aftermath. 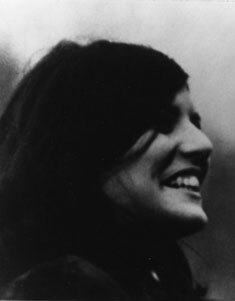 It includes pictures, video, links and soundbytes from productions including VH1's behind the music (Crosby, Stills, Nash & Young's "Ohio"), the author's play Kent State: A Requiem, performed at over 100 colleges in the United States and Britain, news clips on related Kent State topics, as well as personal papers and correspondence related to 33 years of ongoing research on an event occurring in an era labeled by the President's Commission as, "the most divisive time in American history since the Civil War." It is in remembering the events of May 4, 1970 and the communication failure prevalent throughout all aspects of American society, from the President to each member of the public and to the lives of Jeff, Bill, Sandy, and Allison, that this website and research are dedicated. as Santayana said, "those who cannot remember the past are condemned to repeat it." To a generation unfamiliar with the facts of Kent State, an excerpt from Kent State: A Requiem: "Kent State is not about the past - it's your tomorrow."